I’ve been receiving daily emails with worldwide airfare deals for the past month or so, with the intention of choosing my next vacation destination based on the loose equation: farthest I can go for the cheapest amount. I passed up a $600 Seoul ticket I saw the very first day I looked, because I couldn’t get the dates to work out quite right, and I hadn’t seen anything else super great since then… until the $550 ticket to Hong Kong that appeared this week. Over the course of the night I went from thinking I’d maybe do a four-day jaunt in Hong Kong to planning an epic mountain range-hopping adventure. My Chinese colleague only added fuel to the fire the next day when she said that flights within China are super-cheap and I should be able to jump from place to place, no problem. So I freaked out about this trip of a lifetime I was about to take. Except that when I looked into it further, there were plenty of problems. 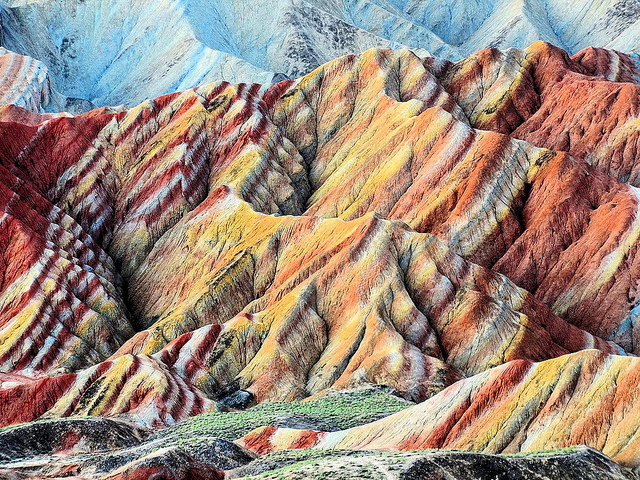 First and foremost, the Zhangye Danxia Landform Geological Park where the rainbow mountains are is fairly impossible to get to without a 2-day journey of planes, trains and automobiles, all of which add up to quite a bit more than the $150 my colleague had promised. 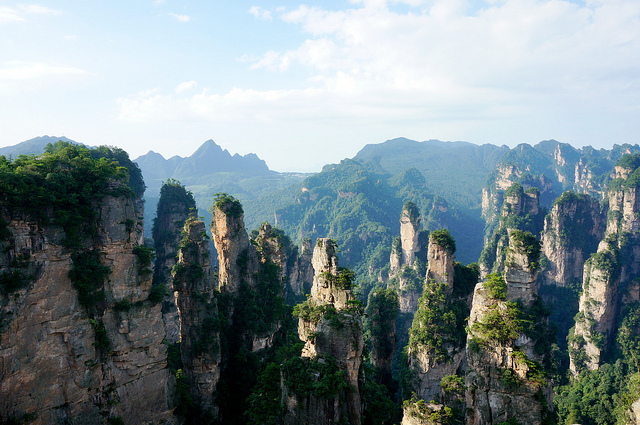 The Avatar mountains – Zhangjiajie National Forest Park – are only slightly more accessible – but only from Beijing, where roundtrip airfare from New York is definitely not on sale. So my epic adventure – which by the time I finished the research had grown in my mind to include a bullet train ride to various stops along the Silk Road as well as a foray into the Gobi Desert – was over before it began.